Trustee resigns, right time to eat? COLUMBUS, Ohio – The Ohio State University Board of Trustees heard an update today on the investigation of sexual misconduct allegations against Dr. Richard Strauss, a physician employed by the university from the mid-1970s to the 1990s. Strauss died in 2005. To date, the Perkins Coie team has conducted 335 interviews with former Ohio State students and staff and searched 520 boxes of university records believed to potentially contain materials relevant to the investigation. Additional searches for relevant university records are ongoing, and investigators also anticipate reviewing any new documents or information retrieved from third parties unaffiliated with Ohio State. Though interviews and documentation reviews continue, investigators estimate the fact-gathering phase of the investigation could conclude this fall as long as no additional avenues of inquiry emerge. “I can confirm that the investigators are working as expeditiously as possible, are covering a tremendous amount of ground, and are working with the independence and professionalism that will validate both the investigative process and integrity of the results,” Trafford wrote. The witness interviews include approximately 150 former students who have reported firsthand accounts of physical sexual misconduct committed by Strauss. The misconduct allegations date from 1979 to 1997, and were reported by former students who were treated in Student Health Services or were student-athletes with the following programs: wrestling, swimming and diving, cheerleading, volleyball, lacrosse, gymnastics, ice hockey, football, fencing, soccer, baseball, tennis, track and cross country, golf and the club sport of water polo. Perkins Coie is also investigating reports of a sexually exploitative atmosphere in Larkins Hall, the university gymnasium and natatorium demolished in 2005. Additionally, former students have reported acts of sexual misconduct that occurred at a private medical office in Columbus that Strauss established off campus in August 1996. 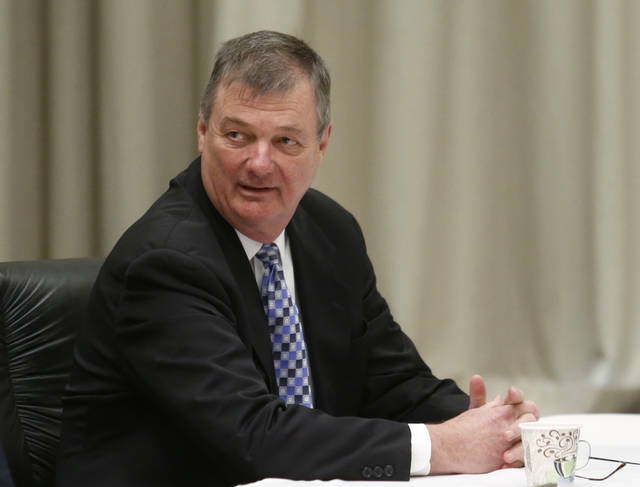 The investigation into what the university knew about misconduct allegations against Strauss has so far entailed interviews with approximately 100 individuals who worked at Ohio State during the relevant time period. They include staff and faculty from the Department of Athletics, Wexner Medical Center and the Student Health Center, as well as administrators, human resources professionals and legal counsel. Perkins Coie is seeking to interview additional former university staff based on investigative leads, and is using all reasonable means to locate and interview any former employees who are believed to have relevant information relating to Strauss’ time at Ohio State. “It must be recognized that, as a result of the temporal span of this undertaking, the investigators are searching for documentary evidence dating back several decades, from the largely ‘pre-digital’ age,” Trafford wrote. “The significant passage of time that has occurred since Strauss’ tenure at the university brings with it the additional challenge of scattered witnesses who must first be identified, then located, and then willing to cooperate. In fact, some key witnesses are no longer alive. The university continues to encourage anyone with information about Strauss’ conduct to contact osu@perkinscoie.com. The identity of those who contact Perkins Coie will be treated with the utmost confidence and sensitivity permitted by law, and individuals may report anonymously if they wish. Satchin Panda receives funding from National Institute of Health, Department of Defense, Department of Homeland Security, American Federation of Aging Research, the Glenn Center for Aging; the Leona M. and Harry B. Helmsley Charitable Trust. He is affiliated with the Center for Circadian Biology at the University of California, San Diego. John K. Davis is a Professor of Philosophy at California State University, Fullerton. His research on life extension ethics was partially supported by a grant from The Templeton Foundation through the Immortality Project.